Product prices and availability are accurate as of 2019-04-13 08:07:15 EDT and are subject to change. Any price and availability information displayed on http://www.amazon.com/ at the time of purchase will apply to the purchase of this product. 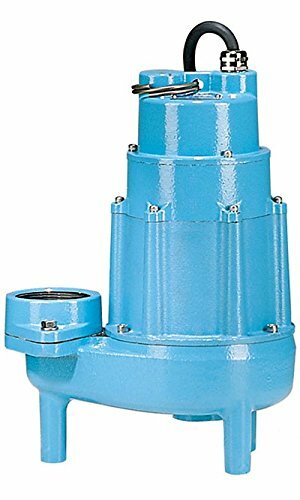 Little Giant 20S-CIM 2 HP, 205 GPM - Submersible Sewage Pump - Manual - 200-208 V, 3 PH - 20' Power Cord (520125)Magnum Series Sewage Pumps - 20S SeriesThe 20S Series submersible pump from Little Giant is specifically engineered to handle the tough, demanding tasks of effluent and sewage waste transfer with high efficiency and long term dependability. 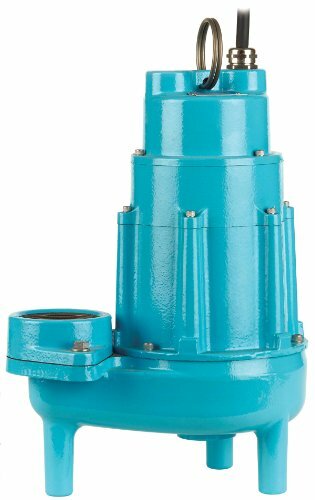 For use in residential, commercial, industrial and agricultural applications with light to medium transfer demands. Applications include dewatering, effluent waste, wastewater and sewage handling where such materials must be moved upward from a collection area to sewer or septic lines, or drainage areas.Little Giant 20S-CIM 2 HP, 205 GPM - Submersible Sewage Pump - Manual - 200-208 V, 3 PH - 20' Power Cord (520125) Features: 2 hp permanent spilt capacitor motor with overload protection Designed for continuous duty Epoxy coated cast iron housing, cover and volute 3" FNPT discharge Carbon/ceramic shaft seal Brass impeller Upper and lower ball bearings Handles 2" solids UL / CSA listed Applications: 3" FNPT DISCHARGE, 2" SOLIDSLittle Giant 20S-CIM 2 HP, 205 GPM - Submersible Sewage Pump - Manual - 200-208 V, 3 PH - 20' Power Cord (520125) Specification: Horsepower: 2 Flow: 205 GPM @ 10' of Head Cord Length: 20' Shut Off: 77' Voltage: 200-208 Hertz: 60 Amps: 14.5 Watts: 2769 Weight: 96 lbs Height: 19.1" Width: 8.5" Length: 13"